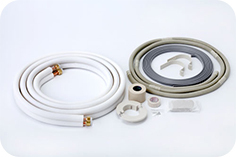 We are able to manufacture your Own Brand with technology and High quality Insulated Copper Tube for refrigerant, We also support various OEM products with our Integrated production system. We have developed Integrated production system by own investment aiming for 100%. Produce from Raw Material to Insulation tubes, Insertion and packaging of Copper pipes by our original developed machines by own technology. High quality of various products created by own. Production System had created by original idea and technology including Manufacturing PE products from raw material, Copper Pipe Instertion by original machine, Packing system. This system keep continue manufacturing high quality products with right delivery time for customers satisfy. 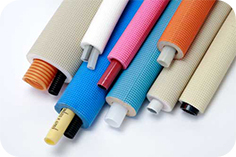 Ability to produce variety of length from 2.5Meters to 30 meter products in Japan and 50meters for over seas Market. The purpose of developied those products are reducing the time for constructers and wastage of resources greatly contribute to cost reduction. Pair Coils used for Piping construction. Length are from 10,20·30 and 50m winding, It's adjastable according to the installing situation. 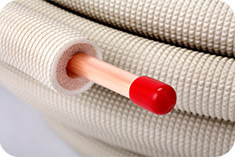 Single Coils used for Piping construction. Length are from 10,20·30 and 50m winding, It's adjastable according to the installing situation. 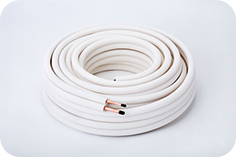 Insutaled Copper Tube for large Refrigerant. This products demand as package Air Conditioners such as Large Building Constraction. As one of the products to set Air conditioner construction, it is essential for reducing construction time. 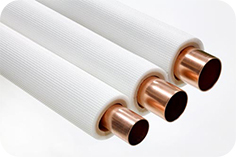 Insulations Pipes are producing by Two department Forming Department and Tubing department. 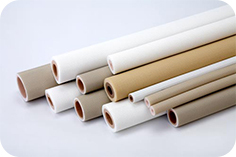 Form Insulation have been manufacturing in Forming Department and Heat Wealding at the Tubing department to make Insualtion. 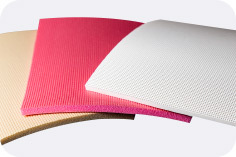 We have valiety of Sizes, Insulation Colors and High Quality products for Cutomer satisfaction. These are our original products that produced by Chuo Bussan. 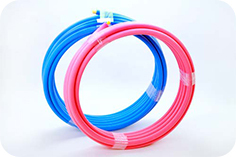 It hss long length and lightweight, flexible and rich in hygienic features, it is a mainstream of the future water supply for Water/Hot water supply piping. We are able to offer a wide range of variety products that according to various uses. Blue piping is for Water, Red pipe is for hot Water Supply. It is excellent in both cold and heat resistance, and it has various of features suitable for Water Hot/Cold water piping work. 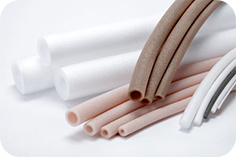 We Produce foaming products that uses Butane Gas which is Environmentally friendly, we have been producing Large number of quantities with high quality products in Japan. The most of products are produced by our own production equipment and management systems that highly evaluated by customers including constant quality, delivery time, and cometitive prices. Utilizes 120℃ heat resistant features, mainly used for the interior of coated copper tubes, and cushioning material for construction. Production of Chemical Cross-Linked foamed polyethylene sheet which has Propety of Heat Resistance Insulation and Cushoned. We offer products according to various sizes, colors, dimensions, such as heat resistance, flame retardant, weather resistant products. Propety of Heat Resistance Insulation and Cushoned.